Anna Siri, Ph.D., Nicola Luigi Bragazzi, M.D., Ph.D. and Diana Spulber, Ph.D.
What does it mean for a person to move from work to retirement? What characterizes this experience? The significant demographic, economic and socio-cultural changes that have taken place recently have also had an impact on ways of achieving full withdrawal from work. Retirement is a difficult transition in which people lose some material and psychosocial resources, but they can experience new opportunities for enrichment and define new projects. However, this potential positive outcome is not promptly achievable and requires personal commitment as well as social and organizational facilities to master it. Retirement is not an event, but a process that begins to foresee progressive forms of exit and re-entry into a social reality to be defined by the person. Therefore, we do not refer to a simple or automatic conclusion of “active life”, but to the possible construction of a new composite system of self-manageable activities that has to be supported by organizations and institutions. In the cultural imaginary, in fact, the condition of the elderly is associated with the idea of a general process of decay, deriving from a progressive loss of psychophysical, social and productive functions. 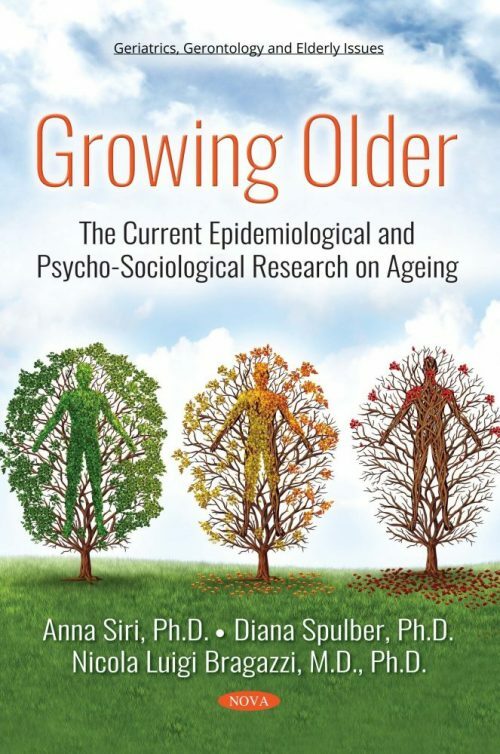 The traits that are most frequently attributed to older people are those of weakness and disengagement, starting from the fact that the birth of the separation of old age from adulthood is anchored to the escape of the subject from the productive system. The lengthening of a lifespan is reshaping the structure and demographic profile of our society and the generational system, with consequences on the economic and social system. It represents one of the great challenges with important consequences for contemporary societies. World Health Organization. World Health Day 2012. Ageing and health - Toolkit for event organizers. Available on: http://apps. who.int/iris/bitstream/10665/70840/1/WHO_DCO_WHD_2012.1_eng.pdf. International Monetary Fund. Global financial stability report: The quest for lasting stability – 2012. Available on: http://www. imf.org/en/Publications/GFSR/Issues/2016/12/31/The-Quest- for-Lasting-Stability. UNFPA and Help Age International 2012. Ageing in the Twenty-first Century: A Celebration and a Challenge. Available on: http://unfpa.org/ageingreport. Hesketh, Therese, Li Lu and Zhu Wei Xing. “The Effect of China’s One-Child Family Policy after 25 Years,” New England Journal of Medicine, Vol. 353, No. 11 (September 15, 2005). Golini A (2009), Il futuro della popolazione del mondo, Il Mulino, Bologna 2009. [The future of the population of the world] 	UNDP (United Nations Development Programme). 2016. Leave No One Behind: Ageing, Gender and the 2030 Agenda. Issue Brief. New York: UNDP. International Labour Office ILO (2017). World Employment and Social Outlook: Trends for women 2017. Geneva. Unit D2. Available online at: http://ec.europa.eu/justice/gender-equality/files/gender_pay_gap/2016_factors_gpg_en.pdf. Eurostat (2017). Population structure and ageing. Available at: http://ec.europa.eu/eurostat/statistics-explained/index.php/ Population_structure_and_ageing. European Commission (DG ECFIN – EPC) (2011), ‘The 2012 Ageing Report: Underlying Assumptions and Projection Metho-dologies’, European Economy, No 4/2011. World Health Organization. (2017). Ageing and health. Available at: http://www.who.int/mediacentre/factsheets/fs404/en. Europe2020: A Strategy for Smart, Sustainable and Inclusive Growth: http://ec.europa.eu/growthandjobs/pdf/complet_en.pdf. European Commission. The 2015 Ageing Report: Economic and budgetary projections for the 28 EU Member States (2013-2060). European Economy 3. May 2015. Brussels. Eurofound (2017), Developments in working life in Europe 2016: EurWORK annual review, Publications Office of the European Union, Luxembourg. See for more information: http://www.imserso.es/imserso_06/ el_imserso/relaciones_internacionales/rel_intern_europa/actividades/conferencia_envejecimiento_activo_saludable/index.htm. OECD (2017), Economic Policy Reforms 2017: Going for Growth, OECD Publishing. doi: 10.1787/growth-2017-en. International Labour Office ILO, Social Protection Department (2014). Social protection for older persons: key policy trends and statistics. Social protection policy paper, Geneva; No. 11, ISSN: 1020-9581; 1020-959X. Denton FT, Spencer BG. What is retirement? A review and assessment of alternative concepts and measures. Can J Aging. 2009 Mar; 28(1):63-76. Bowlby G. Defining retirement. February 2007. Perspectives, Statistics Canada — Catalogue no. 75-001-XIE, pages 15-19. Smeeding TM, Quinn JF. Cross-National Patterns of Labor Force Withdrawal. Paper presented at the Fourth International Research Seminar of the Foundation for International Studies on Social Security, June 15–17, 1997, Sigtuna, Sweden. Schmidt JA, LeeK. Voluntary Retirement and Organizational Turnover Intentions: The Differential Associations with Work and Non-Work Commitment Constructs. Journal of Business and Psychology. 2008;22(4):297–309. McKinsey & Company. Financial Services Practice. Are Canadians Ready for Retirement? Current Situation and Guiding Principles for Improvement. Bazzoli GJ. The Early Retirement Decision: New Empirical Evidence on the Influence of Health. The Journal of Human Resources. 1985;20(2):214-234. Blöndal S, Scarpetta S. The Retirement Decision in OECD Countries. OECD Economics Department Working Papers, 1999, No. 202, OECD Publishing. Feldman DC. The decision to retire early: A review and conceptualization. Academy of Management Review. 1994; 19:285–311. Hanisch KA. Reasons people retire and their relation to attitudinal and behavioral correlates in retirement. Journal of Vocational Behavior. 1994;45:1–16. Hardy MA, Quadagno J. Satisfaction with early retirement: Making choices in the auto industry. Journal of Gerontology: Social Sciences. 1995; 50B:S217–S228. Taylor MA, Shore LM. Predictors of planned retirement age: An application of Beehr’s model. Psychology and Aging. 1995;10:76–83. Shultz KS, Morton KR, Weckerle JR. The Influence of Push and Pull Factors on Voluntary and Involuntary Early Retirees’ Retirement Decision and Adjustment. Journal of vocational behavior. 1998;53:45–57. Fisher GG, Chaffee DS, Sonnega A. Retirement Timing: A Review and Recommendations for Future Research. Work, Aging and Retirement. 2016;2(1):230–261. Reeuwijk KG, de Wind A, Westerman MJ, Ybema JF, van der Beek AJ, Geuskens GA. ‘All those things together made me retire’: qualitative study on early retirement among Dutch employees. BMC Public Health. 2013 May 28;13:516. Lytle MC, Foley PF, Cotter EW. Career and Retirement Theories: Relevance for Older Workers Across Cultures. J Career Dev. 2015 Jun;42(3):185-198. Adams KB, Sanders S, Auth EA. Loneliness and depression in independent living retirement communities: risk and resilience factors. Aging Ment Health. 2004 Nov;8(6):475-85. Lee J, Smith JP. Work, Retirement, and Depression. J Popul Ageing. 2009 Jun 1;2(1-2):57-71. Kypraiou A, Sarafis P, Tsounis A, Bitsi G, Andreanides E, Constantinidis T, Kotrotsiou E, Malliarou M. Depression and Anxiety in Greek Male Veterans After Retirement. Mil Med. 2017 Mar;182(3):e1639-e1644. Doshi JA, Cen L, Polsky D. Depression and retirement in late middle-aged U.S. workers. Health Serv Res. 2008 Apr;43(2):693-713. Drentea P. Retirement and mental health. J Aging Health. 2002 May;14(2):167-94. Charles KK. Is Retirement Depressing? Labor Force Inactivity and Psychological Well-Being in Later Life. NBER Working Paper No. 9033, June 2002. Reitzes DC, Mutran EJ, Fernandez ME. Does retirement hurt well-being? Factors influencing self-esteem and depression among retirees and workers. Gerontologist. 1996 Oct;36(5):649-56. Reitzes DC, Mutran EJ, Fernandez ME. Preretirement influences on postretirement self-esteem. J Gerontol B Psychol Sci Soc Sci. 1996 Sep;51(5):S242-9. Trzesniewski KH, Donnellan MB, Robins RW. Stability of self-esteem across the life span. J Pers Soc Psychol. 2003 Jan;84(1): 205-20. Jones CJ, Meredith W. Patterns of personality change across the life span. Psychol Aging. 1996 Mar;11(1):57-65. Minami U, Nishi M, Fukaya T, Hasebe M, Nonaka K, Koike T, Suzuki H, Murayama Y, Uchida H, Fujiwara Y. Effects of the Change in Working Status on the Health of Older People in Japan. PLoS One. 2015 Dec 3;10(12):e0144069. Singer T, Verhaeghen P, Ghisletta P, Lindenberger U, Baltes PB. The fate of cognition in very old age: six-year longitudinal findings in the Berlin aging study (BASE) Psychol Aging. 2003;18(2):318–331. Christensen H, Mackinnon A, Jorm AF, Henderson AS, Scott LR, Korten AE. Age differences and Interindividual variation in cognition in community-dwelling elderly. Psychol Aging. 1994;9(3):381–390. Morse CK. Does variability increase with age? An archival study of cognitive measures. Psychol Aging. 1993;8(2):156–164. Kubicek B, Korunka C, Raymo JM, Hoonakker P. Psychological well-being in retirement: the effects of personal and gendered contextual resources. J Occup Health Psychol. 2011 Apr;16(2): 230-46. Wapner S, Hornstein GA. Transition to Retirement, final report to NRTA-AARP Andrus Foundation, December 31, 1980. Hornstein GA, Wapner S. The Experience of the Retiree’s Social Network during the Transition to Retirement. In: Exploring the Lived World: Readings in Phenomenological Psychology, Aanstoos, CM. (ed. ), pp. 119–136, West Georgia College Press, Carrollton, Georgia, 1984. Hornstein GA, Wapner S. Modes of experiencing and adapting to retirement. Int J Aging Hum Dev. 1985;21(4):291-315. Hanson K, Wapner S. Transition to retirement: gender differences. Int J Aging Hum Dev. 1994;39(3):189-208. Kim JE, Moen P. Retirement transitions, gender, and psychological well-being: a life-course, ecological model. J Gerontol B Psychol Sci Soc Sci. 2002 May;57(3):P212-22. Wong JD, Shobo Y. The Moderating Influences of Retirement Transition, Age, and Gender on Daily Stressors and Psychological Distress. Int J Aging Hum Dev. 2017 Jun;85(1):90-107. Rohwedder S, Willis RJ. Mental Retirement. J Econ Perspect. 2010;24(1):119–138. Mazzonna F, Peracchi F. Ageing, cognitive abilities and retirement. European Economic Review. 2012;56(4):691-710. Coe NB, von Gaudecker HM, Lindeboom M, Maurer J. The effect of retirement on cognitive functioning. Health Econ. 2012 Aug;21(8):913-27. Meng A, Nexø MA, Borg V. The impact of retirement on age related cognitive decline - a systematic review. BMC Geriatr. 2017 Jul 21;17(1):160. Andel R, Infurna FJ, Rickenbach EAH, Crowe M, Marchiondo L, Fisher GG. Job strain and trajectories of change in episodic memory before and after retirement: results from the health and retirement study. J Epidemiol Community Health. 2015;69:442–446. Bonsang E, Adam S, Perelman S. Does retirement affect cognitive functioning? J Health Econ. 2012;31:490–501. Finkel D, Andel R, Gatz M, Pedersen NL. The role of occupational complexity in trajectories of cognitive aging before and after retirement. Psychol Aging. 2009;24(3):563–573. Fisher GG, Stachowski A, Infurna FJ, Faul JD, Grosch J, Tetrick LE. Mental work demands, retirement, and longitudinal trajectories of cognitive functioning. J Occup Health Psychol. 2014;19(2): 231–242. Roberts BA, Fuhrer R, Marmot M, Richards M. Does retirement influence cognitive performance? The Whitehall II Study. J Epidemiol Community Health. 2011 Nov;65(11):958-63. Wickrama KK, O’Neal CW, Kwag KH, Lee TK. Is working later in life good or bad for health? An investigation of multiple health outcomes. J Gerontol B Psychol Sci Soc Sci. 2013 Sep;68(5):807-15. Ryan L H. The work environment and cognitive function across adulthood: Reciprocal relations and meaningful outcomes. A dissertation in human development and family studies. 2008. The Pennsylvania State University. Liu H, Byles JE, Xu X, Zhang M, Wu X, Hall JJ. Evaluation of successful aging among older people in China: Results from China health and retirement longitudinal study. Geriatr Gerontol Int. 2017 Aug;17(8):1183-1190. Denier N, Clouston SAP, Richards M, Hofer SM. Retirement and Cognition: A Life Course View. Adv Life Course Res. 2017 Mar;31:11-21. Stock JH, Trebbi F. Retrospectives: Who Invented Instrumental Variable Regression? Journal of Economic Perspectives. 2003;17(3):177–194. Epstein RJ. The Fall of OLS in Structural Estimation. Oxford Economic Papers New Series, Vol. 41, No. 1, History and Methodology of Econometrics (Jan., 1989), pp. 94-107. Milne D. The Psychology of Retirement: Coping with the Transition from Work. John Wiley & Sons, 2012 – 1-208 pages. Wang M. The Oxford Handbook of Retirement. OUP USA, 2012 – 1-638 pages. Knoll MAZ. Behavioral and Psychological Aspects of the Retirement Decision. Social Security Bulletin. 2011;71(4). Song L, Hill JR. A Conceptual Model for Understanding Self-Directed Learning in Online Environments. Journal of Interactive Online Learning. 2007;6(1):27-42. Candy PC. Self-direction for lifelong learning: A comprehensive guide to theory and practice. San Francisco: Jossey-Bass, 1991. Garrison DR. Critical thinking and self-directed learning in adult education: An analysis of responsibilities and control issues. Adult Education Quarterly. 1992;42(3):136-148. Garrison DR. Self-directed learning: Toward a comprehensive model. Adult Education Quarterly. 1997;48(1):18-33. Brockett RG, Hiemstra R. Self-direction in adult learning: Perspectives on theory, research, and practice. New York: Routledge, 1991. Brookfield S. Self-directed learning: A critical paradigm. Adult Education Quarterly. 1984; 35:59-71. Narushima M, Liu J, Diestelkamp N. Lifelong learning in active ageing discourse: Its conserving effect on wellbeing, health and vulnerability. Ageing & Society. 2016, in press. Leung DSY, Liu BCP. Lifelong Education, Quality of Life and Self-Efficacy of Chinese Older Adults. Educational Gerontology. 2011;37(11):967-981. Dolan P, Fujiwara D, Metcalfe R. Review and Update of Research into the Wider Benefits of Adult Learning. BIS Research Paper 20, Department for Business, Innovation & Skills, London, 2012. Feinstein L, Budge D, Vorhaus J, Duckworth K. The Social and Personal Benefits of Learning: A Summary of Key Research Findings. Centre for Research on the Wider Benefits of Learning, Institute of Education, London, 2008. Feinstein L, Hammond C. The contribution of adult learning to health and social capital. Oxford Review of Education. 2004;30(2): 119-221. Escuder-Mollon P. Modelling the impact of lifelong learning on senior citizens’ quality of life. Procedia - Social and Behavioral Sciences. 2012;46:2339-2346. Hindle JV, Martin-Forbes PA, Martyr A, Bastable AJ, Pye KL, Mueller Gathercole VC, Thomas EM, Clare L. The effects of lifelong cognitive lifestyle on executive function in older people with Parkinson’s disease. Int J Geriatr Psychiatry. 2017, in press. Díaz-López Mdel P, López-Liria R, Aguilar-Parra JM, Padilla-Góngora D. Keys to active ageing: new communication technologies and lifelong learning. Springer Plus. 2016 Jun 17;5(1):768. Harris MA, Brett CE, Starr JM, Deary IJ, Johnson W. Personality and Other Lifelong Influences on Older-Age Health and Wellbeing: Preliminary Findings in Two Scottish Samples. Eur J Pers. 2016 Sep-Oct; 30(5):438-455. Robinson M, Novelli W, Pearson CE, Norris L. Global Health and Global Aging. John Wiley & Sons, 2007 - 1-350 pages. Arai H, Ouchi Y, Yokode M, Ito H, Uematsu H, Eto F, Oshima S, Ota K, Saito Y, Sasaki H, Tsubota K, Fukuyama H, Honda Y, Iguchi A, Toba K, Hosoi T, Kita T; Members of Subcommittee for Aging. Toward the realization of a better-aged society: messages from gerontology and geriatrics. Geriatr Gerontol Int. 2012 Jan;12(1):16-22. Fernández-Ballesteros R, Molina MÁ. Lifelong Learning. The Encyclopedia of Adulthood and Aging. 2015. 1–5.